Governance no doubt involves one person or a group managing the affairs of a state, community or organization. In democratic governance, citizens decide who becomes what in the governance of their collective affairs. Thus, the electorate/voters who are the final arbiters of whether the ideas and methods or policies and programmes of a political candidate/party are relatively superior to, and likely to be more beneficial to them than those of others, are to be equipped with the necessary information to enable them make informed decisions as to who is most qualified to represent them. 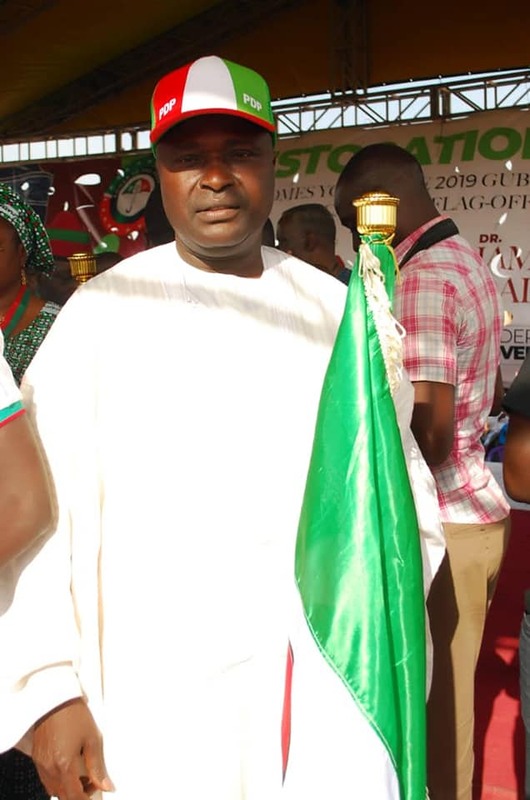 The competence and character of the various Reps Candidates for Barkin Ladi/Riyom Constituency, must, as a necessity, be examined in the the full glare of public limelight, because, what is at stake is the welfare of the entire Barkin Ladi/ Riyom constituency. This is more so, as a serious error of judgment or decision in the management of public affairs might adversely affect the lives and fortunes of Barkin Ladi Riyom people. 1.) Hon Dr Mwadkwon as a personality worthy of emulation, has displayed an avalanche of Integrity, both in his conduct and approach to issues. The root of Integrity means "whole" or "undivided". Hon Dr Mwadkwon, who lives an undivided life,does not act one way in one situation and another in a different situation. This, of-course, is an exhibition of Integrity and wholeness in his life. Living this way has earn him a lot of admirers and followers. 2.) Honesty they say is the best policy, but it would not be out of place to add that, honesty is the policy of great leaders. Hon Dr Mwadkwon. is not the kind of person that hedge the truth, either for the sake of ramification or for the purpose of hiding something. Mwadkwon consciously knows that, a lack of honesty results in the fact that you destroy the trust of those who admire and follow you. Hon Dr simon Mwadkwon knows that if he tells his followers or admires the truth and lied to others, it would destroy the trust they had in him. He knows they would find themselves thinking "If he lies to others, will he not lie to me?". Hon Dr Mwadkwon is fully aware that,reputation is what leadership is based on, and when we are honest and live transparently, people are able to see us for who we are and make solid decisions to follow or key into our projects. 3.) Another good trait that makes Mwadkwon a standard character is his loyalty to people. He has a "stick to it" attitude when it comes to others. He stays with his friends even in the downtimes. Anyone can be friends with others when times are good. People Of good character stay with their friends through thick and thin;when they need them most. If and When we are loyal to our friends and followers, they will be loyal to us and make every effort to succeed on our behalf. 4.) Self-sacrifice which is the giving up of one's own interests or wishes in order to help others or advance a cause is a special character trait, which you cannot take away from simple Simon Mwadkwon. As a person of good character,. Hon Dr Mwadkwon has demonstrated in several occasions, even to the admiration of friends and foes,that he give up personal gain for the good of the whole. It is the believe of Mwadkwon Fwet that, people don't mind putting in more hard work once they are solid-stone sure that,they are not been used for personal gain. 5.) Accountability is an act of allowing others to have a say in our lives, to speak straight about our lives and conduct. The bitter truth is that, we have blind spots and need other people to be close to us, so we can advance down the road of success. The deficiency of accountability does not prove lack of character. Rather, the conspicuous display of it exhibit presence of character. Hon Dr Mwadkwon Fwet knows this, hence, invites others to speak into his life. People grow tired of individuals who will have nothing to do with accountability. People don't mind individual who make mistakes, but are not comfortable with persons or individuals who don't take responsibility for their mistakes by been accountable. Hon Dr Mwadkwon is a personality that would always open his heart to criticism,and thus would do a great job leading or representing a cause,struggle, or organization. 6.) The ability to make decisions, especially good ones,about what we will and will not do with our actions is at the nucleus of what we become in regard to our character. There will be,more often than not,plenty of options to engage in things that undermines standard norms,values,and morality.But a person of good character knows the imperative need to exercise self-control,that is,control over choices. Hon Dr Mwadkwon sufficiently knows that,when an individual don't exercise self-control,they sabotage their ability to lead. People inordinately lose respect for them and would follow less,that is, if at all. Hon Dr Mwadkwon Fwet is a personality that exemplify the ability to choose to do the things we should, and refrain from doing the things we shouldn't do. 7.) Hon Dr Mwadkwon Fwet is a renowned philanthropist, who is known for striving to promote welfare of others through socially acceptable means. He is altruistic. Always venturing to alleviate the struggles of others without seeking anything for his own personal benefits. He salves those that are hurt without expectation of compensation or recognition of his efforts. Simon Mwadkwon Fwet is wildly known for his heightened social awareness. He has a great awareness of his surroundings. Not only is he open to opposing views and ideas, he also seek to understand the needs of others and how they can best be satisfied .Dr Mwadkwon is far-sighted, issue-oriented,and business minded. 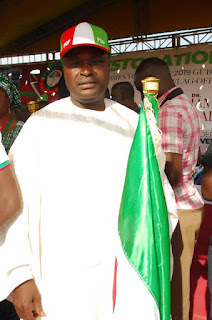 Based on the exposition of the avalanche of character traits as exhibited by Hon Dr Mwadkwon from an empirical perspective, observations and evidences, it is safe to conclude that,the Candidate of the Peoples Democratic Party, PDP, for the House of Representatives Membership,Representing Barkin Ladi, Riyom Federal Constituency, in the February 16,2019 General Elections, is the best man for the Job.